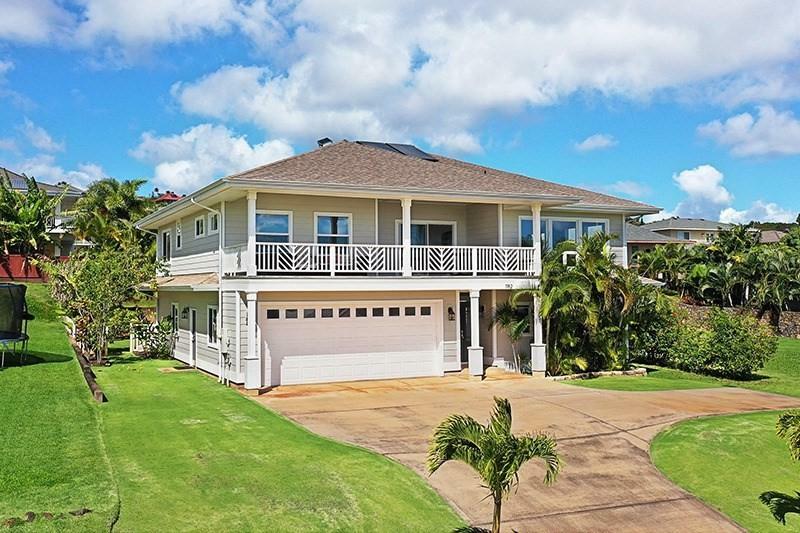 This Beautiful Custom 5 Bedrooms 3.5 Bath Home located in Kakela Makai Ocean view Subdivision in Kalaheo boasts 3,398 sqft of Living Space with an open concept. 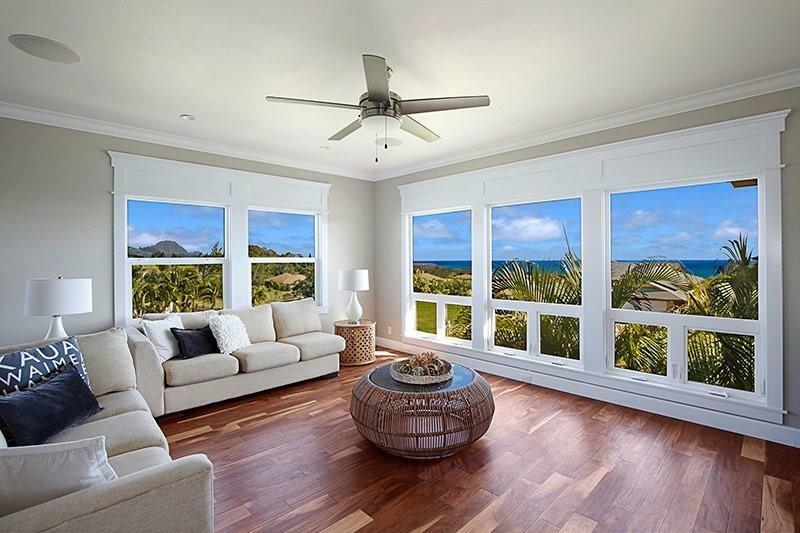 Upstairs you will find a large living room and dining area together with a functional chefs kitchen with all new appliances surrounded by lots of windows making every room open and bright. Master bedroom with attached full bathroom and two amply sized bedrooms with one shared full bathroom. 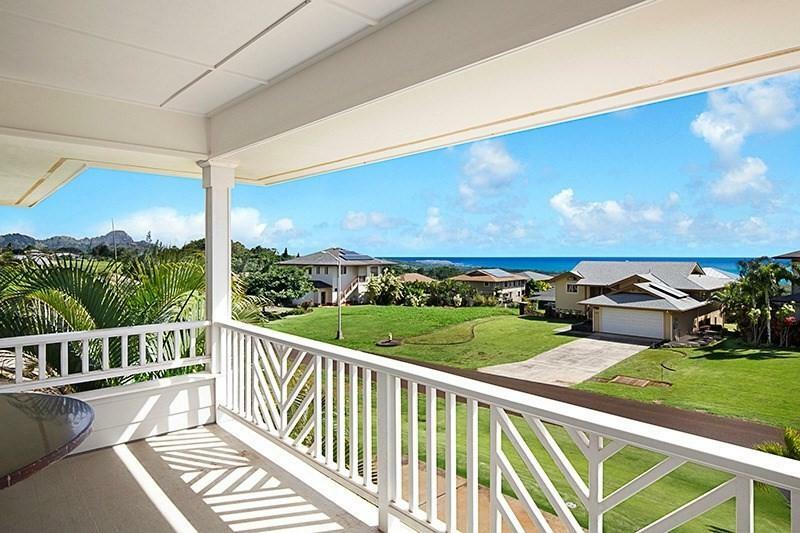 The Large covered upper lanai/deck is perfect for entertaining or intimate gatherings, and a comfortable space to enjoy the gorgeous Ocean and Mountain Views. The lower level has a large living space with one bedroom, one full bathroom, Kitchenette and W/D which can be locked off as a separate unit. The Spacious covered back lanai/deck is a good space for having BBQs with friends and enjoying the clean back yard.Porcelain Travertine Tiles, Acacia hardwood floors throughout the home, together with custom crown molding and decorative headers above the windows, give this home an extra touch of elegance. Areas in the home wired for surround sound with in ceiling speakers, and the large garage has been fitted with custom work benches making it a perfect space for a workshop or hobby area. 90% of the lighting is LED and most should last up to 30 years. All Appliances are new as of 5/17; new Washer and Dryer. Hot Water heater is Electric with Solar Assist.Beautifully maintained Zoysia grass lawn and mature landscaping in both front and back yards gives this home great curb appeal. Home ownership includes the amenities of Kakela Makais pool, hot tub, clubhouse and exercise equipment. 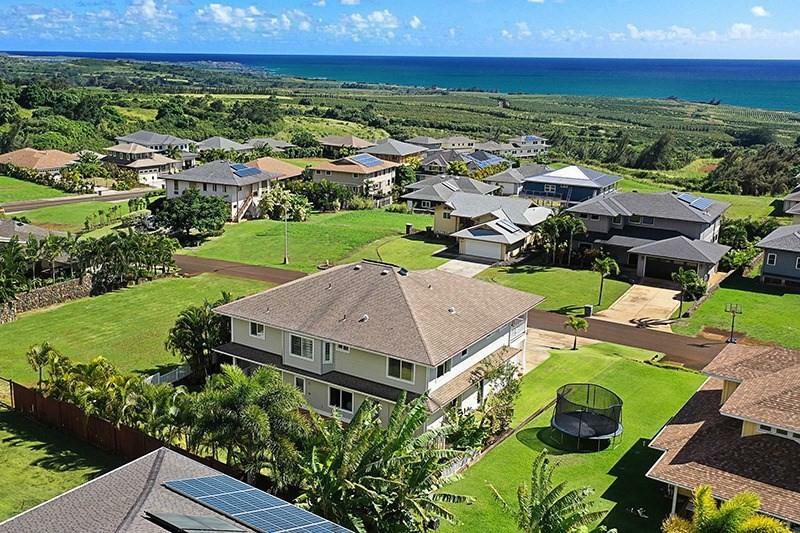 Located just minutes from Kalaheo town, restaurants, shopping, Golf Course and beautiful beaches.Option of having an Additional Dwelling Unit (ADU) on their property, however no CPRs or splitting of the properties is allowed.